When a person is developing a website for their business, it is imperative that they start from step 1…with SEO in mind. This will save the developer tons of time later in going back and fixing things to match up with SEO standards. But proper SEO for a website is not as simple as finding a few keywords and throwing them in, that is only one aspect, and even that goes a lot deeper and more involved. Here are some helpful tips to get you started on how to develop a website for SEO. Look at the URL address bar on the top of your page. What does the link look like? Odds are if it has an optimized link structure it will include some keywords from this very page. It is very important that all of your URLs indicate what the reader will be able to find on the linked page. Some websites may just auto-populate a URL with numbers and letters that don’t mean anything, and this is no good for SEO. 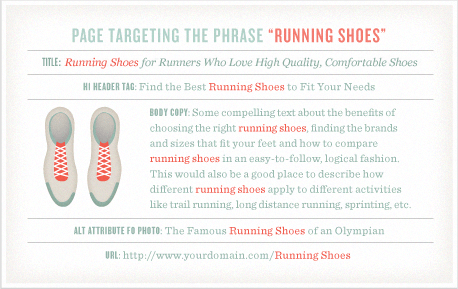 Tip: When you have a URL that will include more than 1 word, it is important to use dashes to separate them. It matters both to customers and search engines that being able to get to every part of your website is easy and simple. Make sure you have an easy-to-find navigation panel on the top of your page, that is statistically where it is easiest to find and see. This will ensure that visitors and search engine crawlers can get to all relevant web pages and access the information and services that they need. Website speed – Visitors will not hang out on your website for very long if it takes them a long time to load a page, image or anything for that matter. Instant gratification is a real thing these days. Make your website fast. You can use Google PageSpeed Insights, a free tool that will dissect the speed of your website, tell you what’s good and bad about it, as well as suggestions on how to fix the problems. Functional links – Routinely keep up with the links on your website. If a webpage you link to breaks and you are just leading customers to an error page, this does not bode well for your SEO rankings. You can use a free Chrome extension called: Check My Links to comb each page on your site and it will highlight the functional ones in green while alerting you to broken links in red! Mobile functionality – More and more people are using phones, tablets and other mobile devices for their internet searches. Make sure you keep up with the times and optimize your website for mobile. You will be penalized if this does not happen. Get ahead of the game with Googles free mobile optimization tool, it will check your website and see if it is properly optimized for mobile! Learning how to develop a website for SEO is a very involved and detailed process. The tips I outlined above are only the beginning of optimizing a website, as the process involves many more in-depth solutions that help rankings. Not sure where to start? Consider talking with Hype Digital Marketing about your SEO questions. We are a full-service agency that can help business owners with a range of tasks, especially SEO. Want to learn more about SEO, web design, PPC, content development and more? Join our newsletter below for all of the juicy info!